Like in London, Vehicle owners in Mumbai soon will have to pay congestion tax(Pay for road use in core of mumbai). 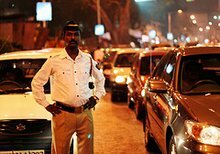 Indian state of maharashtra is planning to introduce congestion tax in an attempt to cut traffic levels and help ease severely clogged roads. Mumbai will be divided into zones, with the core in South Mumbai. All private vehicles need to pay to enter this zone. Charges will apply between 7am and 6.30pm from Monday to Friday, excluding public holidays inside the most central and heavily congested part of London. 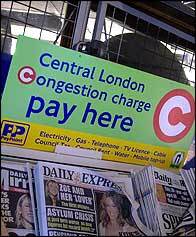 Motorists have to pay a flat fee of £5.Those who do not pay are liable for fines of up to £120. Dharavi: Soon a Slum of No More!